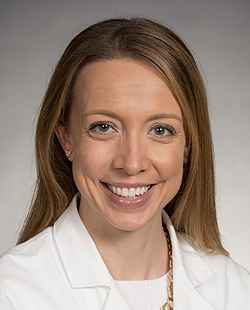 We are pleased to introduce one of four colorectal surgeons at UW Medicine, Erin Lange, MD, who practices at Northwest Hospital & Medical Center and is part of the UW Medicine Colorectal Surgery team. Dr. Lange’s clinical interest in diverticulitis was sparked during her surgery residency, where she focused some of her research on how the diagnosis is made and symptoms patients with diverticulitis experience. “What drew me is how much we don’t know about it given how common it is—when to do surgery, who benefits, and how to manage people who don’t get surgery,” she says. Dr. Lange has connections with community primary care providers who refer patients with low grade diverticulitis to her in order to see if surgery could be part of their treatment plan. Her team is working on getting higher participation in the study by making sure they identify all patients with diverticulitis before they come to the clinic. Learn more about the DEBUT study.